Shaped by the influences of the wind, water and fog, the Anderson Valley is recognized as one of the world’s greatest regions for Pinot Noir and Chardonnay. It has also earned acclaim for complexity and distinctiveness of its famed sparkling wines. Made from our very best blocks of Pinot Noir and Chardonnay, our vibrant and alluring Goldeneye Brut Rosé captures the rich diversity of our estate program, offering vivid layers of blood orange, honeydew and hazelnut. The inaugural vintage of our Goldeneye Brut Rosé is a classic example of Anderson Valley sparkling wine. 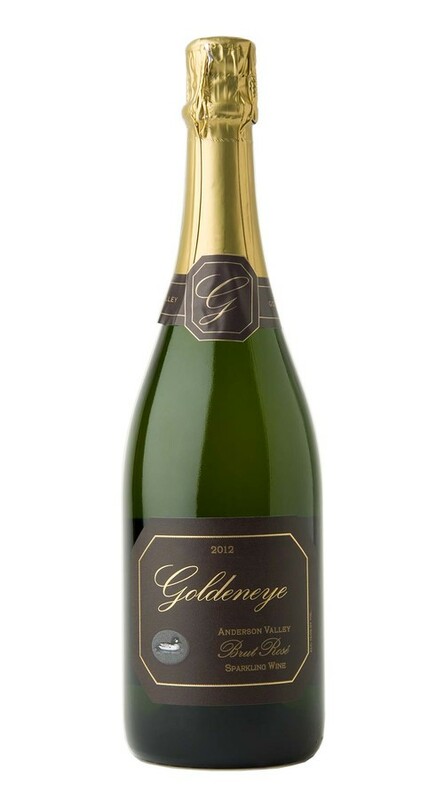 From its lovely pale salmon color to its ebullient aromas of lemon zest, apple strudel and hazelnut, it is a vibrant and layered sparkling wine. Combining the vivid fruit notes of the finest Pinot Noir with the citrus and minerality of great Chardonnay, it showcases flavors of flowering strawberries, blood orange, ripe apple and guava, all underscored by coursing acidity. Beautiful effervescence carries this alluring rosé to a tangy lemon-lime and fresh brioche finish. We saved our bottle of Goldeneye Brut Rose for today's Father's Day brunch. I biggest regret was that we did not have more. To our taste this is a beautifully balanced sparking wine that lends itself well to a wide variety of foods. Perfect for any celebration. I checked in today because we wanted to purchase more. Alas.. No more are available. I do hope we will see another production.